Did you find learning Science dull and difficult at school? Join us to change the status quo and make learning science a cool and exciting experience for children. Together let’s nurture the future scientists and innovators of Pakistan. 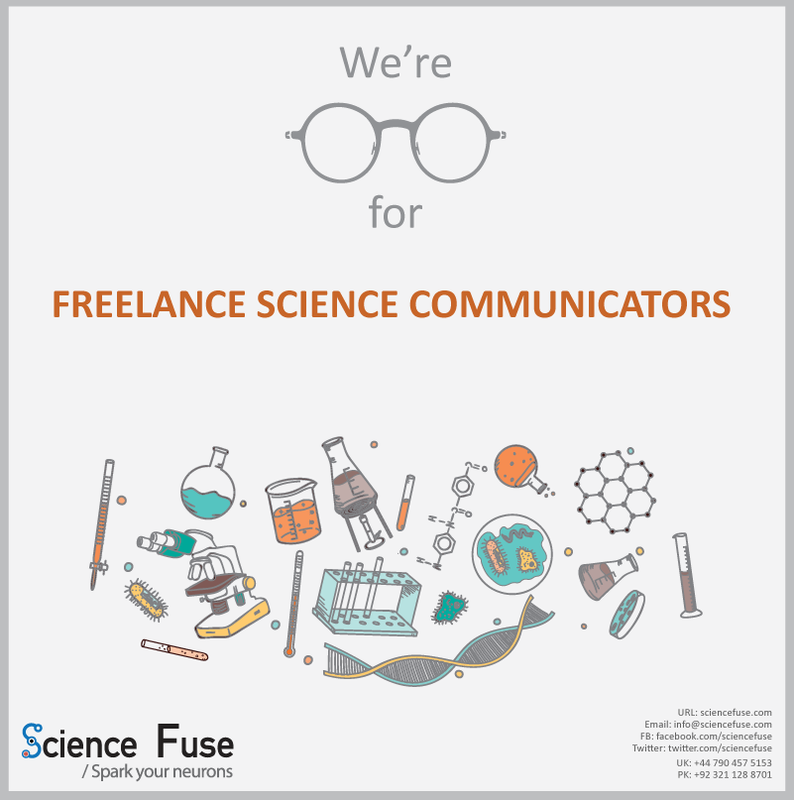 Apply for the Science Communicator role at Science Fuse to be a changemaker. Our Science communicators engage with students from both low-income and private schools. Develop critical thinking, problem-solving, leadership and communication skills on this journey. More importantly you get a chance to activate your sense of wonder and curiosity! Pakistan was ranked at 113 out of 127 countries in the Global Innovation Index (GII) 2017. One of the main reasons for this is the low standard of science education in majority of our educational institutions, both private and public. Science Fuse is working to change how science is perceived and communicated both inside and outside classrooms in Pakistan. We curate informal STEM learning programs for children from diverse socioeconomic backgrounds to nurture their interest and understanding of STEM (science, technology, engineering and mathematics) education and careers. We’ve designed a curriculum that makes teaching and learning science a fun, hands-on and relevant experience for teachers and students. Over the last three years we’ve partnered with some of the leading organisations such as The British Council, Idara-e-Taleem-O-Agahi, Haque Academy, National History Museum, OLOMOPOLO and Pakistan Alliance for Maths and Science to bring science alive through our STEM workshops and at Science Festivals. We believe that if children especially those from underprivileged backgrounds get a chance to experience hands-on and engaging STEM education, our world would be in a much better shape. If these children develop a passion for learning in something they care about then they would be less likely to dropout of school. And staying in school gives them a chance to better the world. Wondering if you’re a good match for this role? A science enthusiast. You don’t have to be a science student or science professional to be a science enthusiast! Train for and deliver high quality, hands-on STEM educational sessions and interactions designed by Science Fuse for a broad range of audiences at both private and public schools and within communities. Required: We encourage people from diverse academic backgrounds to apply. If you don’t have a STEM background but do have excellent communication skills and a sound knowledge of science then please do apply. You don’t have to know all the science in the world you only need to be willing to learn. 1st stage: Complete a training program designed by us. For the training you’ll have to dedicate almost 15 hours from December 2018 – January 2019. 2nd stage: Facilitate our more experienced Science Communicators during our STEM workshops held in Lahore. These happen on both weekdays and weekends. You may choose depending on your availability. 3rd stage: Conduct our STEM workshops independently. We have flexible working hours. However you’ll be required to work on our STEM workshops during the weekends (afternoon and evenings) or on some weekdays between 12 – 4 pm. Salary: The compensation is based on each program but can range from anywhere between 5K to 10K depending on the length of each program and the number of programs you conduct independently. You’ll have to volunteer your time for our subsidised programs for public and low-income private schools.